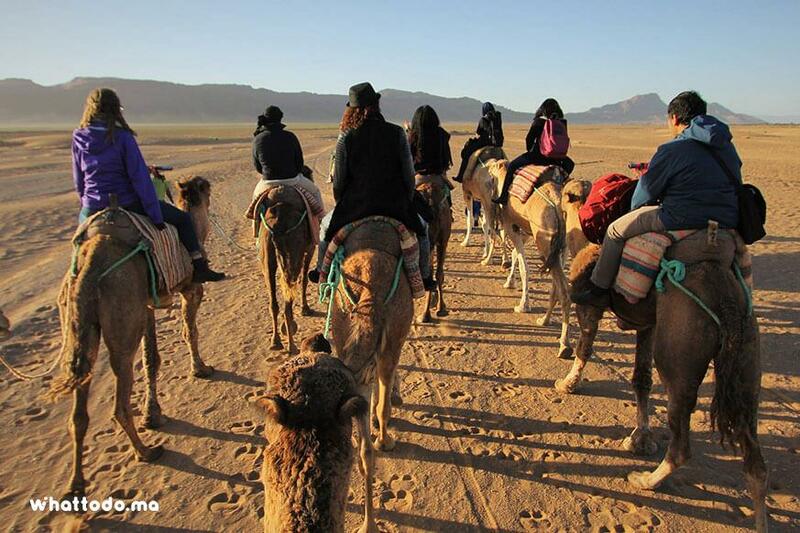 Departing your trip from Marrakech, Zagora desert private tour through the High Atlas Mountains and Tizi N Tichka pass will take you opportunity to discover in a private 3 days desert tours a Moroccan Berber nomad’s lifestyle and live unique experience in Zagora's Erg-Lihudi’s high dune. After a pick up from your accommodation in Marrakech, Cross the High Atlas Mountains along Tizi N'Tichka, the highest pass in North Africa (2,260 m). 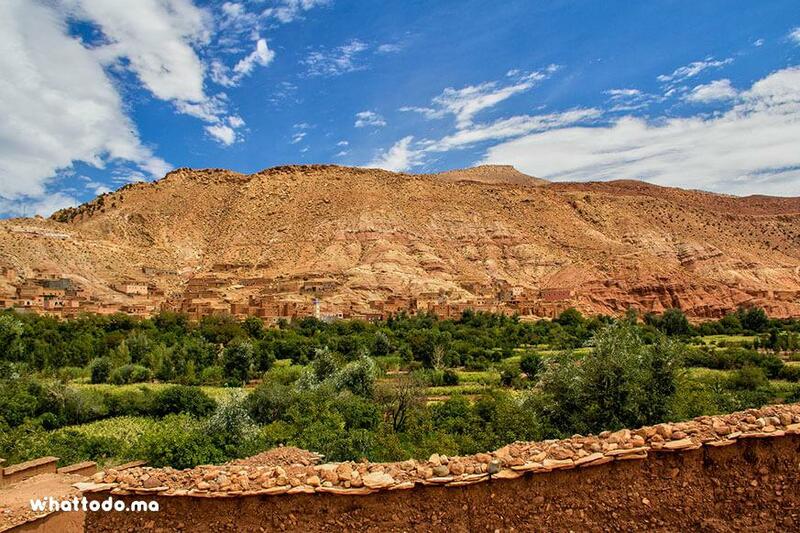 Stop at Ait Ben Haddou Kasbah a UNESCO world Heritage and past palace of Pacha Glaoui. 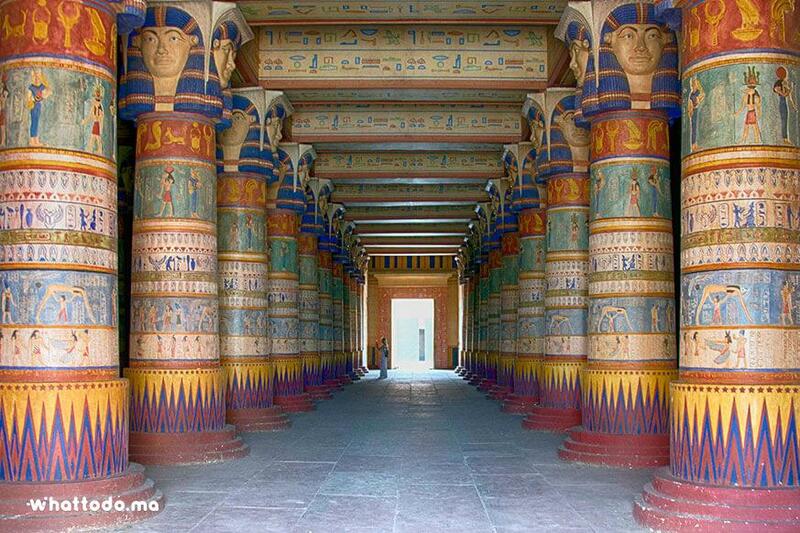 Visit this monument and discover its history through its architecture. Have lunch on site before continuing to Ouarzazate. On your arrival, stroll through the city and visit the cinematography studio and Taourirt kasbah. Enjoy diner and spend night in a hotel. 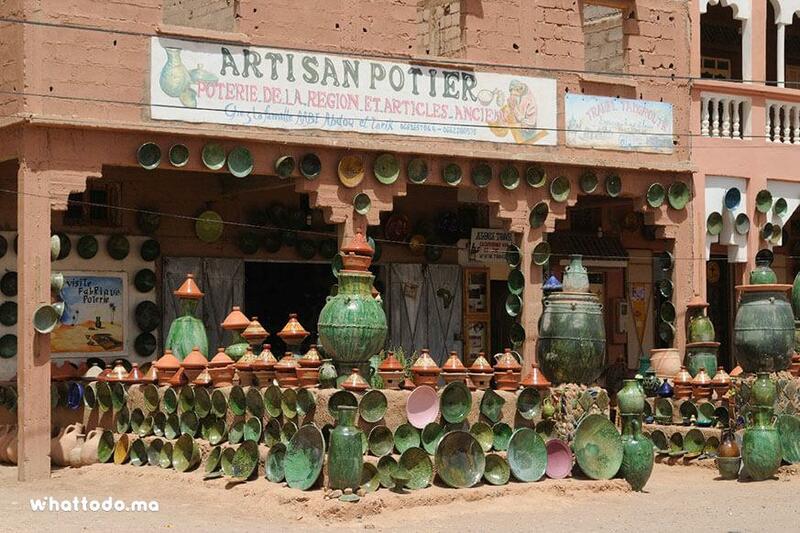 After breakfast at your hotel, take the road of the Anti Atlas to Zagora via the famous village of Agdez. Admire the sparkling colors of Deraa oasis. Have lunch in a Berber restaurant before continuing to Zagora. Called "The Desert gate", this high altitude capital is located on a bare plateau south of the mountains. 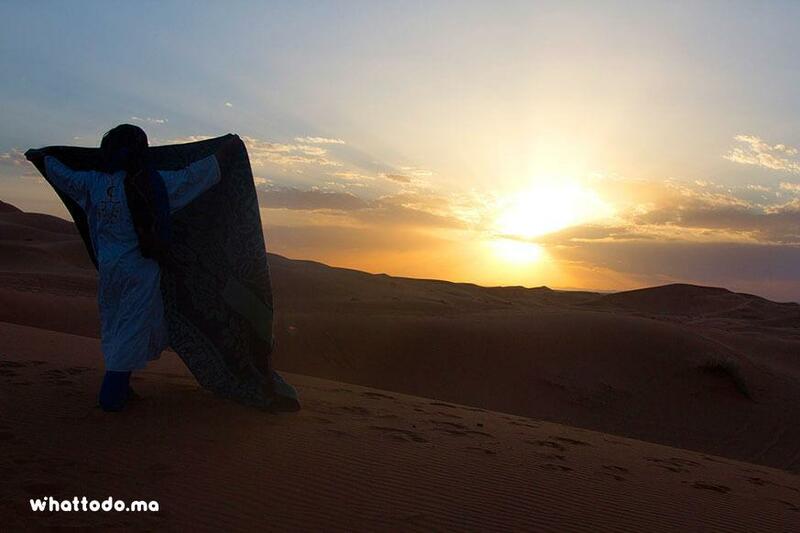 Arriving to the bivouac in the late afternoon, enjoy a camel ride to see the beautiful sunset over the desert. Then, take part of diner around fire and enjoy nomadic songs drum’s rhythms. Spend a magical night in a traditional tent to complete your desert experience. 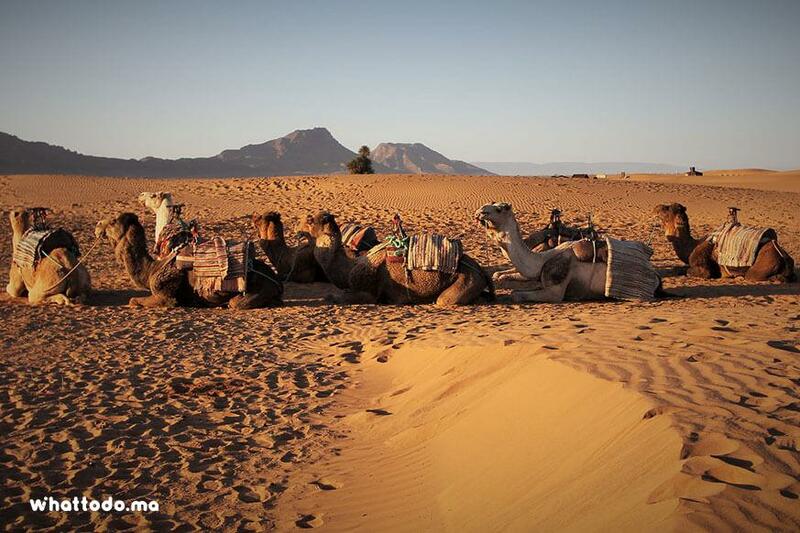 Get up early to watch the stunning sunrise over the Sahara and enjoy a nice camel ride. Then, enjoy a delicious breakfast before leaving to Tamgroute. Located about 20km from Zagora and passing by the old road of Tambouctou. Visit the oldest and first Moroccan library that was created in the 16th century. It contains wonderful illuminated Korans and well preserved scientific and literary works. Then, head the road to Marrakech through Deraa’s valley palm. Have lunch in Tamnougalt (old Kasbah of Agdz), then continue through the Anti Atlas Mountains toward Ouarzazate then to Marrakech via Tichka Pass. You will reach your accommodation late in the afternoon. 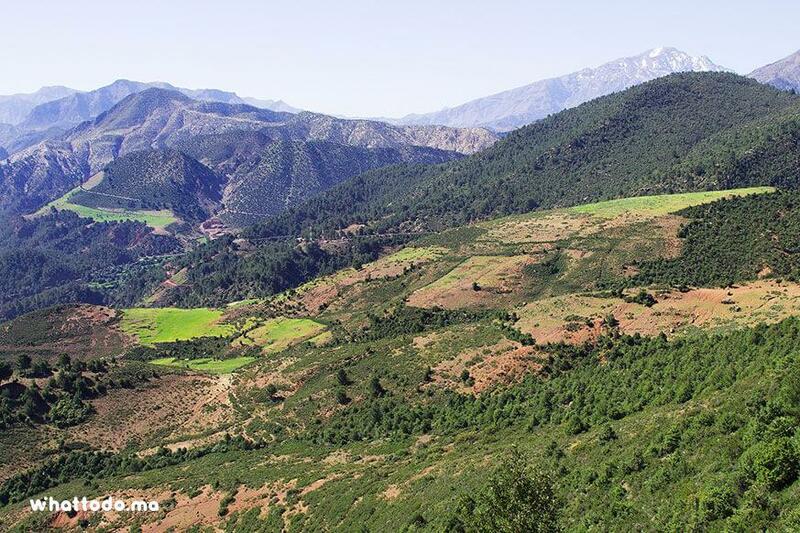 Admire the panoramic landscape of the High Atlas Mountains passing through the majestic Tizi N Tichaka Pass (2260m). 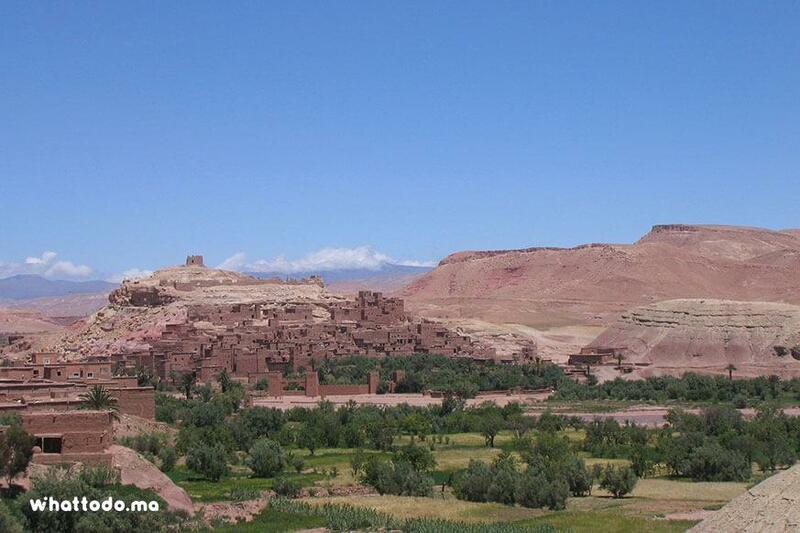 Visit Ait Ben Haddou Kasbah past palace of Pasha Glaoui and a UNESCO World Heritage. 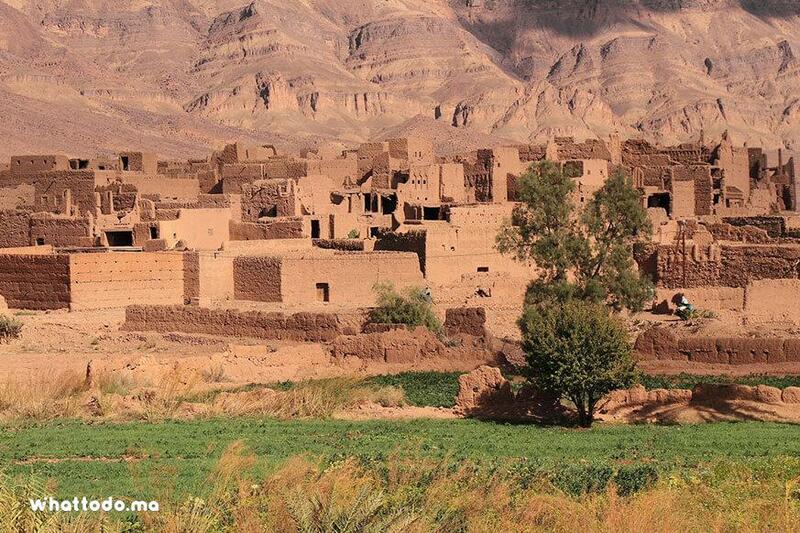 Stroll in Ouarzazate and discover its cinematography studios and the glorious past of the famous Kasbah of Taourirt. 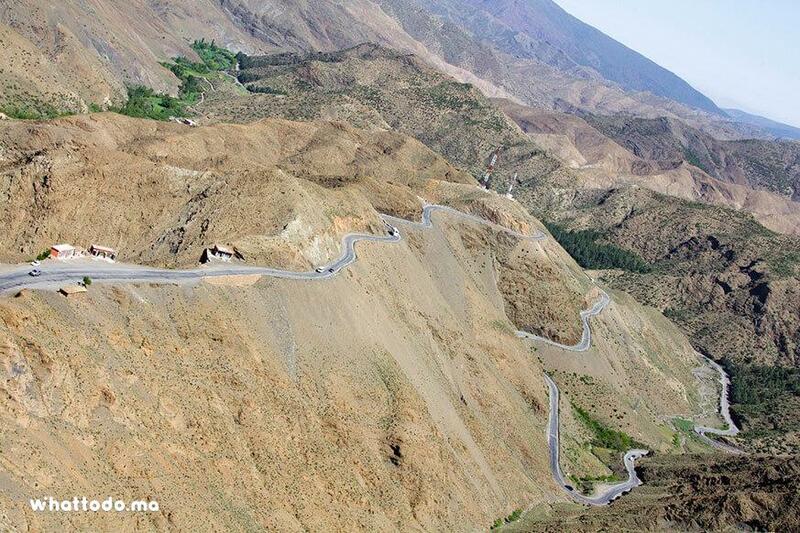 Explore the roads of the thousand and one kasbah passing by different Berber villages. Enjoy the panoramic views of Deraa Valley oasis. Visit Zagora the desert gate and explore the immense Saharan landscape that surrounds it. 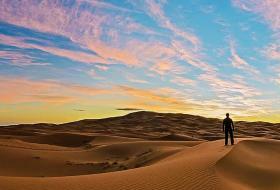 Enjoy majestic camel rides in the desert and watch a unique sunset and sunrise. 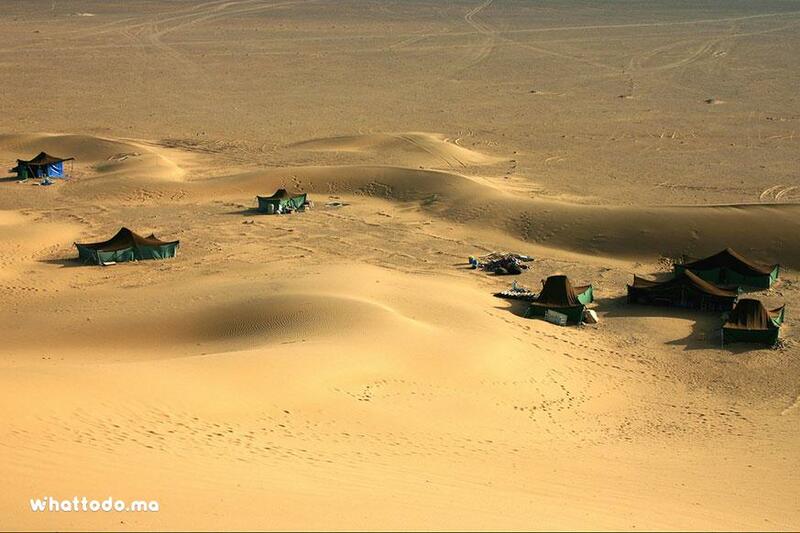 Try the Berber dishes and spend a night in a Saharan tent. 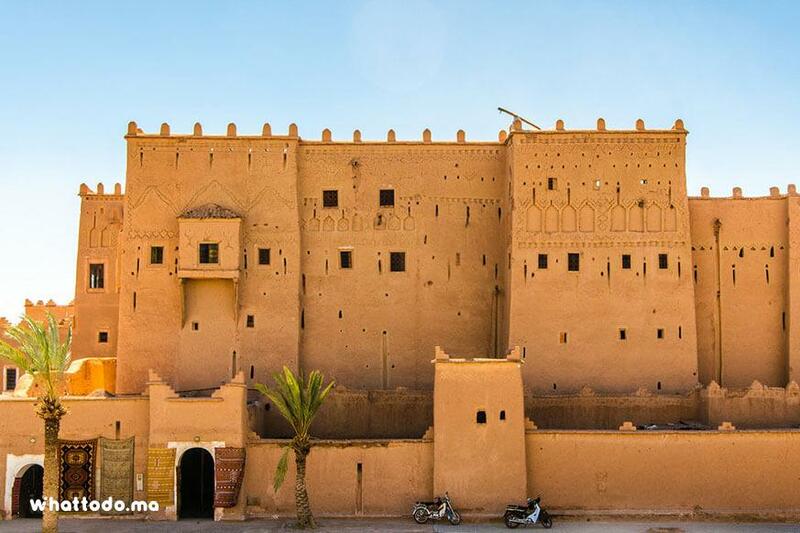 Discover the first book library in Morocco while visiting the authentic village of Tamegroute. 1st night in a hotel or a guest house, dinner and breakfast included. 2nd night in Bivouac (berber tent), practecly equipied even with electric solar energy. Dinner and breakfast included. Bring warm clothes, sunscreen, a hat, comfortable shoes and chargers for your cameras and mobile phones. The map bellow indicate the itinerary of the activity.